Mission Statement Our mission is to provide a safe environment, free from any illicit drugs or alcohol, for people in Sedona and The Verde Valley with substance abuse issues. We focus on behavior modifications and are dedicated to consistency, structure and direction in our homes. Steps to Recovery Homes is looking for used cell phones in good condition. The STRH Warehouse Empowerment Project will be an expansion of our Miracles Happen Resale Store which has been in existence for two and a half years. We have secured a warehouse in which the organization can receive additional donations for resale. The warehouse will also allow us to place 10 to 40 a year clients in various positions ranging from inventory to donation acquisition. This project will provide job skills and maximize the success rate for clients, work to break down barriers to employment, and give our clients the necessary skills that are in demand from potential employers. STRH will provide the opportunity for clients to work in areas such as online sales, warehouse and organizing operations, EBay tasks (posting/organizing), refurbishing and/or cleaning items, and representing new items at the resale store. This will continue to raise unrestricted revenue in order to help keep our recovery homes operational and sustain the organization over time. We also hope to build the capacity to serve more individuals in need of recovery services. 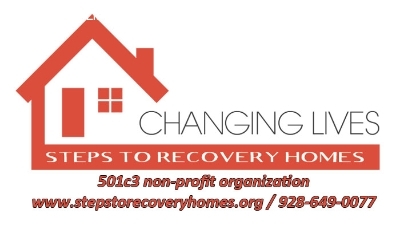 Steps to Recovery Homes would like you to know that Arizona allows LOCAL non-profits to receive a significant part of your state tax dollars. It hopes that you will use YOUR tax credits to support its mission to take individuals suffering with addictions off the street so they can be taught to be productive members of their families and in society. With addiction said to be the biggest crisis in America, affecting our homes, businesses, neighborhoods, families, and jobs, why not use your Charitable Tax Credits to help it build a healthy local solution to addiction in our own community! State taxes are normally taken from some of our earned income and given to programs outside of our communities. Why not put your taxes to good use at home where you can see the benefits! Form 321 is used to get a dollar for dollar tax credit up to $800 if filing jointly or $400, as an individual. 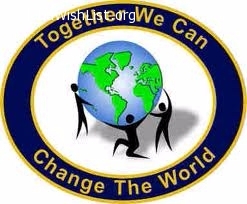 You can do it by mail to: 516 east state route 89a suite 113 cottonwood az. 86326, by calling 928-649-0077, or at http://stepstorecoveryhomes.org/az-tax-credit-donation/ Remember, a tax credit is a dollar-for-dollar reduction of the income tax you owe. For example, if you owe $1,000 in state taxes but are eligible for a $1,000 tax credit, you owe zero dollars. We can use your Fund raising talent. Please contact us to find out where we could use your talent. Monetary donations are always appreciated. No Matter how Big or how Small, every penny counts. Thank you for considering Steps to Recovery Homes. People Persons!! We are looking for someone to help in our resale store. Some one to help write grants! Someone to help list our eBay store items! and Office assistance!!! We can use all kinds of assistance throughout our organization. Please do not feel you have nothing to contribute. We will find a spot for your talent. Our homes provide a clean and healthy lifestyle for our clients who are on their way to recovery through our program.